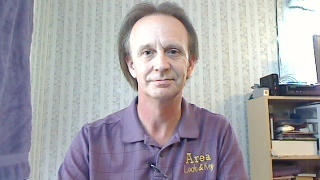 Area Lock and Key Riverchase Alabama Locksmith (205)-985-0088: Locksmith reveals who has keys to your house or apt!?! 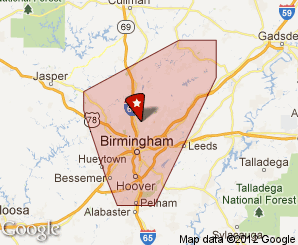 Local Mobile Locksmith service in Riverchase, Alabama since 1994 - No 1-800 #'s and no call centers in some other state. We are a locally owned and operated Locksmith. Locksmith reveals who has keys to your house or apt!?! Here is what the general public does not know about. 1. When you buy a new home and are given the keys, trust me that's not all of them. here is all of the people who have or had your keys and might still have a copy. The contractor and all of the subcontractors, which can be as many as a 100 people. The reason for this is convenience so that the workers can come and go as they please because they are usually working on more than one project at any one time. Plus most of these houses are mastered to one key so that the Realtor and contractor don't have to carry a ring of 30 or 40 keys with them. They don't tell you this because they don't want you to make them absorb the cost of re-keying the locks so that you have the only key. Plus their job is to build the house as fast as they can to get it on the market and get a key to the Realtor, and in MOST cases even the Realtor is NOT aware of this information to even be able to pass it on to the buyer. I know what your thinking, and YES, I personally do know of a couple of instances where some of the workers kept keys and burglarized houses in a few neighborhoods nearly 5 years later after they worked on the houses. I heard about it from the home owners that called me out to re-key their locks after they were burglarized and also from my relatives who are in law enforcement. 2. Apt. 's and used homes are similar. I know you think, well it's okay cause the old owners moved out of state or you know they are nice people, maybe even friends of yours. Okay? Ask yourself, who have they given keys to? Neighbors? Their kids? Ex husbands, ex wives, ex girl friends? and how many keys have their kids lost or had stolen from them? Can you trust all of those people? Do you even know all of those people? Plus, did they ever have the locks re-keyed when they moved in? Now how many keys are out there, that you don't know about? So isn't it worth the small fee of usually around $100. to $200. to re-key your locks to have peace of mind and know that you have the only key to your house?